If you have been to a Jazz Ambience gig and would now like to show everyone else what great taste you have then we can help! 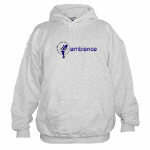 The new Jazz Ambience on-line shop accepts all major credit cards and ships to the UK and abroad. We have t-shirts, sweat-shirts, caps, mugs, stickers and mouse mats and even more to follow soon! To browse the Jazz Ambience shop please click here. 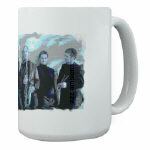 Jazz Ambience - now you can wear this picture! See inside our shop.